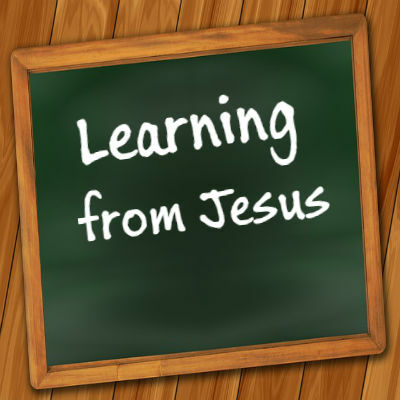 Many of the things Jesus taught to his disciples, they didn’t get right away; Jesus modeled what it means to be a servant; he modeled spending time with God in prayer; he showed them what it means to have a heart for the lost. Whatever Jesus did in his ministry, he did it for the lost. He came to seek and save the lost. He served, trained disciples; he suffered and died to save sinners. John tells us of an incident that the apostles of Jesus just didn’t know what to think or say when they found Jesus again doing something unusual for a Jewish rabbi. Jesus broke the racial barrier for the sake of the lost. -Jesus spoke to a person who would be considered an enemy by the Jews. The woman was shocked that Jesus engaged her in a conversation. “You are a Jew and I am a Samaritan woman. (Don’t you know our history?). How can you ask me for a drink? From water, to living water? Where can you get this living water? Are you greater than our father Jacob? This living water will quench your thirst once and for all. It will become a spring of water welling up to eternal life. Sir, give me this water, so I don’t have to come here again. (15) The woman is not understanding this illustration. She is still thinking about her physical need (water, the hard work to come and get some, the traveling); when you are only focused on the physical, you tend to ignore the spiritual. She missed the point of Living water. Where is the right place for worship? She tried to create a religious controversy with this question. Jesus confronted her ignorance about worship. – the place for worship is irrelevant. – God is after the condition of the heart of the worshiper. God is seeking true worshipers, those who would worship God in spirit and truth. (The inner man, true worshippers deal openly and honestly with God; they learn to worship him from his truth revealed in Scripture). – Amazed, astonished to find him talking with a woman. – They didn’t dare to ask Jesus why he was talking to her. – Urged Jesus to eat something after the woman left. The woman went back to her town. She left the water jar behind. She found something more important than water. She thought she may have found the Messiah. Come and see a man who told me everything I ever did. Could he be the Messiah? People went to check out Jesus because of the woman’s testimony. She became the first evangelist in her town all because of her testimony to come and see. – There was a harvest of soul in Samaria that day. Many Samaritans came to see Jesus because of the woman’s testimony. This harvest of soul was more important to Jesus than actual food because he has a heart for lost people. V.39-42 Many believed in Jesus that day because of the testimony of the woman. When was the last time you challenged someone to check Jesus out? You too have a story to share with others about how Jesus has changed your life. There are many who need to have an encounter with Jesus, and you and I are responsible to make it happen. As we learn from Jesus to bridge those gaps that separate people, racial, economic, political, etc. We are to engage in conversations with those who don’t realize their spiritual needs. When was the last time you had a meaning conversation with someone about Jesus? This harvest is the outcome of having a conversation with someone who did not know her need for salvation. Imagine what kind of harvest we can have in the kingdom of God when we, like Jesus, bridge gaps that separate people; when we engage in conversation with lost people. When we love them enough to confront their religious ignorance and guide them to the truth.